Political officials and energy industry executives gathered in Las Vegas today to discuss renewable energy policy at the National Clean Energy Summit (NCES). Many of the headline speakers at NCES were focused on the country's most vexing issue, jobs, with just a very thin veneer of "green" to make it seem like they were talking about something new. The overall tone of NCES was disappointingly dismissive of the proven dangers of Big Solar and Wind energy, with few voices reminding the attendees that all Big Energy--even solar and wind--exact a toll on the environment. The reluctance of national leaders to acknowledge the ecological impact that their policy will have on the land is not much different than political candidates denying the science behind climate change. 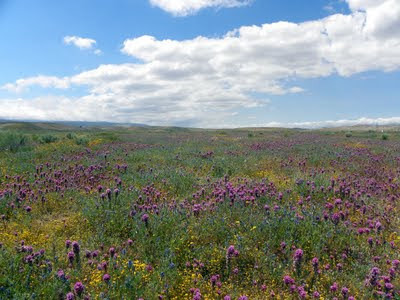 Chris Clarke at Coyote Crossing recently published a great piece on KCET looking at what we will lose when the majestic Carrizo Plain is industrialized for the sake of large-scale renewable energy projects. While writing the piece he came across a passionate letter written by long-time public servant and friend of the environment Peter Douglas, who recently retired from the California Coastal Commission. Mr. Douglas wrote the letter urging policymakers to reconsider plans to build massive solar power projects in Carrizo Plain, which will threaten endangered species in an area called "California's Serengeti". You can read the full letter on the Carrizo Commons website, but I've included some particularly inspiring excerpts below. 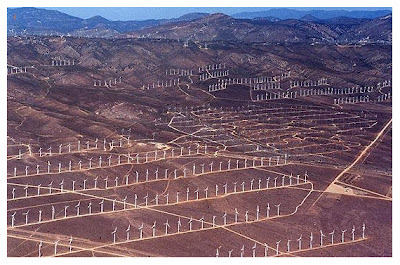 I posted in July about hundreds of square-miles of wind and solar projects that threaten to transform Southern California's deserts and mountains into a giant industrial zone. Included in that was a BLM map showing those project locations, but I felt that map was missing the landscapes and lifestyles that will actually be impacted by the proposed projects. I put together my own version of that BLM map, which depicts the same projects and impacts, but with Google Earth you can see the mountains and valleys that will be interrupted by towering wind turbines and the tarps of steel and glass we call renewable energy. 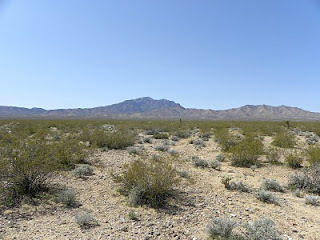 A poem about the desert by Ruth Nolan, a desert resident and artist who has a blog with even more poetry over at Phantom Seedlings. I came across this poem while reading James Goebell's A Geology of Borders blog. A recent article in Sierra Magazine praised the benefits of rooftop solar leasing programs, which allow homeowners to install solar panels with little or no up front costs. These programs and other policies can revolutionize the way we obtain our energy, and erode the old paradigm of destroying wildlands to power our refrigerators and microwaves. As renewable energy expert John Farrell told Sierra Magazine, "[o]ur policy is favoring Big Solar—or Big Anything, really—at the expense of the small stuff." We need to pay more attention to the solution right in front of us. Parking lots, rooftops, reservoirs, and so on. 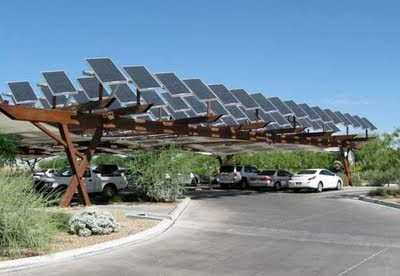 Solar panels can make use of these spaces as "distributed generation". 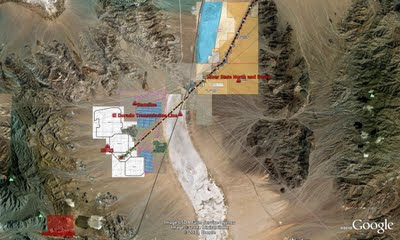 Brightsource Energy is well into the construction phase for its Ivanpah Solar Electric Generating System (ISEGS), with over one-third of the 5.6 square-mile site scraped of vegetation and wildlife. BrightSource Energy touts the construction jobs it has created, in part funded by a 1.6 billion dollar taxpayer-backed loan guarantee under the American Reinvestment and Recovery Act. No doubt the workers receiving a paycheck from the company are in a better financial position for as long as the construction activity lasts. Once the project is completed, only a small fraction of the current workforce will support plant operations. A solar facility in Nevada employed 350 construction workers, but only supported 5 permanent jobs afterward. The project required millions in taxpayer funding. The Department of Interior initiated the environmental review process for First Solar's 3.4 square-mile Stateline solar power project, which would further jeopardize rare plant and wildlife in the beleaguered Ivanpah Valley. The public is encouraged to attend a meeting on 31 August (details below) or contact the BLM with concerns (POC: Mr. Jeff Childers, jchilders@blm.gov). More info: BLM press release, click here. How often have you read environmental magazines and websites rave about "green" technology? This is man's solution to man's problems--air pollution, oil spills in the seas and the removal of nature's mountain tops for coal. 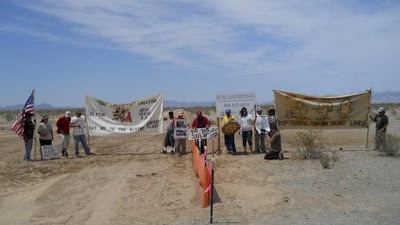 At least three groups have formed to fight back against energy company plans to industrialize wildlands in the Mojave Desert. All told, dozens of square miles are at stake as developers seek to install wind turbines as tall as 30 story buildings across hillsides, and blanket other open spaces with solar panels. Unfortunately, renewable energy policy has encouraged an industrial solution that threatens the same ecosystems we seek to protect against climate change. But groups like Solar Done Right are advocating for distributed energy generation, where we generate renewable energy at or near the point of use (such as rooftop solar panels). Instead of giving companies taxpayer money to mow down public land, citizens are asking for a more reasonable solution. The Department of Interior today approved the Desert Sunlight solar power project, which will destroy nearly 6 square-miles of public land less than two miles from Joshua Tree National Park. Initial biological surveys counted at least 22 active desert tortoise burrows, but desert biologists are concerned that the surveys may have underestimated the number of tortoises on site. 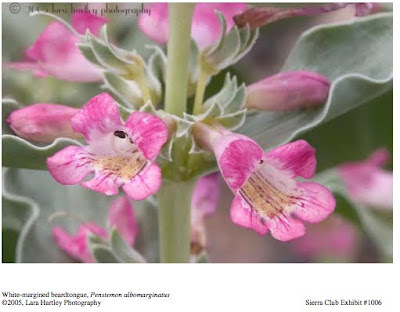 Ironically, Secretary Salazar announced the project on the 75th anniversary of Joshua Tree National Park, a shameless disregard for the legacy desert conservation. Joshua Tree National Park may be further encircled by industrial development if the Department of Interior continues its policy of favoring energy companies over wildlands. Additional proposals for large wind and solar energy applications just outside the Park's boundary include Desert Harvest solar project, the 31 square-mile Pinto Mountain wind project, and the 4.2 square-mile Eagle Mountain wind project. 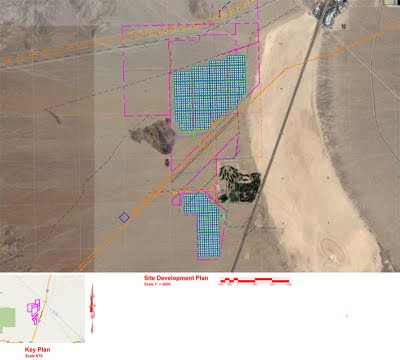 The Bureau of Land Management (BLM) has begun reviewing the proposed Stateline Solar power project, which is expected to destroy at least 3.4 square-miles of the Ivanpah Valley. First Solar Inc. has been considering whether or not to move forward with this controversial project since the nearby Brightsource Energy solar project (ISEGS) has made headlines for its unprecedented impacts on the threatened Desert Tortoise. Probably seeking to shield the company from expected opposition, First Solar is reportedly looking to strike a deal with NatureServe, a non-profit with Wall Street ties, to draw up a conservation plan for the the Ivanpah Valley in an attempt to ease concerns. However, desert biologists are alarmed by the scale of proposed solar and mining development in the area, which could jeopardize a robust tortoise population and pockets of rare plants. Update: The tally of known Golden Eagle deaths at the Pine Tree wind project site has risen to eight as of early 2012. A massive wind energy facility in California's Tehachapi Mountains has killed many migratory and special status birds, including at least 6 golden eagles, according to the Los Angeles Department of Water and Power. The bird mortality has prompted an investigation by the US Fish and Wildlife Service since the facility's bird mortality is far higher than most wind projects, according to the LA Times, and may result in prosecution if the inquiry finds violations of the Bald and Golden Eagle Protection Act. The 12 square-mile Pine Tree Wind Project has only been in operation for 3 years in the mountains bordering the western Mojave Desert, and its unforeseen destructive impact on bird life should be a warning sign for local and Federal officials considering applications for several more facilities in the area. Even though California Governor Brown thinks it is wise to "crush" the opposition against utility-scale solar power projects (does he realize that energy companies have plans for over a thousand square miles of wind and solar...that could require a lot of crushing! ), I can say I do agree with his efforts to encourage more distributed generation. Sacramento set a goal of generating 12,000 megawatts of distributed renewable energy, such as rooftop solar, by 2020. There are a lot of local hurdles to the development of rooftop solar, such as sometimes arduous or expensive permitting processes at city halls across the State, as pointed out by this study by the Loma Prieta chapter of the Sierra Club. Many consumers may also not be aware of the savings and benefits of owning their own rooftop solar installation.